Love Holidays Ireland customer service contact number is +353 (0)1 513 8700. This Love Holidays customer care number is available from Monday to Sunday 9am to 5pm. Visit Love Holidays Ireland website to learn more about the services available to you. Love Holidays login page is available for existing customers from the Republic of Ireland. Similarly, customers can access booking reference, documentation, and make online payments after successful login to loveholidays.ie. Get in touch with Love Holidays phone number Ireland in case you need assistance during or after booking a holiday. Dial the above Love Holidays contact telephone number to contact the sales and new bookings team for assistance for finding holidays, hotels, destinations, or late deals. Enquire about pay monthly option or visit Love Holidays spread the cost holiday page to learn more. Love Holidays sales and new bookings contact number for Ireland is +353 (0)1 513 8686. This Love Holidays phone line for Ireland customers is open from Monday to Friday 8am to 11pm, Saturday 9am to 10pm, Sunday 9am to 10pm, and Bank Holidays 10am to 10pm. Loveholidays.ie has an online search tool to help you to find the perfect holiday. Enter destination, airport, date, duration of stay, facilities required, and number of passengers to use the search tool. Further, the above Love Holidays contact phone number is available throughout the weekdays and bank holidays in case you need assistance from Love Holidays Ireland. Love Holidays UK sales team contact number is 0203 897 1179. Sales team available on the above Love Holidays phone number offers extended support from Monday to Friday 8am to 11pm, Saturday 9am to 10pm, Sunday 9am to 10pm, and Bank Holidays 10am to 10pm. Get in touch on this Love Holidays.com contact number to request a quote on holiday booking. These specialists answer all pre-booking questions you may ask before making a reservation. Remember to provide Love Holidays website reference if any when you speak to a sales rep for a faster response. Feel free to discuss your requirements for boarding, flights, destination, or other facilities required when you dial the above Love Holidays contact phone number. Love Holidays contact number for assistance when in resort is 0203 870 6830. This Love Holidays emergency contact number is available from Monday to Sunday 9am to 5pm. You need to dial the above number in case you are holidaying in a resort and need to contact Love Holidays for a dispute or reporting the poor quality of services or facilities. Similarly, you can report such problems to Love Holidays online by sending an email to [email protected]. Visit Love Holidays FAQ page to learn about the answers to most commonly asked questions when you are on holiday and need support. Remember Love Holidays provides on call service only for emergency issues outside these hours. Love Holidays accessibility contact number is 0190 325 8287. Dial this special Love Holidays contact phone number in case you are travelling with disabled person or a person with less mobility prior to a reservation. Discuss your requirements and the rep answering your phone will arrange to make necessary additional arrangements. Contacting Love Holidays customer service number is necessary to avoid inconvenience during holidays. Similarly, forward your requirements for additional arrangements online via Love Holidays customer service email address form available on the above contact us page. Love Holidays new bookings team contact number is 0203 897 1152. New booking team at Love Holidays is available from Monday to Friday 8am to 11pm, Saturday 9am to 10pm, Sunday 9am to 10pm, and Bank Holidays 10am to 10pm. Booking a holiday could be a daunting task and the sales team helps you to find the best holiday. Remember, you do not need to commit holiday dates while discussing your priorities with the new bookings team. Search for room options, flight dates, and payment options. However, make sure to read Love Holidays customer reviews available online before making a reservation. Love Holidays offers the option to change the card online through login to Love Holidays manage my booking page. However, you need to contact the credit control team in case you want to make the payment over the phone. Following email addresses are available in addition to the above Love Holidays customer services phone number for direct contact with the concerned departments. After Travel Contact and Complaints – Send an email to [email protected] in case you need to register a complaint to Love Holidays after your holidays. Remember to provide your HAY/LVE reference number when you complain. Price Match Guarantee – Report the violation of price match guarantee to [email protected]. Send booking reference number and additional information listed on Love Holidays lowest price promise page. Report Different Card for Payments – Notify your requests for using a different card for future payments to [email protected]. Make sure to send your request at least five business days before the next due date. Press and Media Information – Forward your requests for press or media information to [email protected]. Jobs – Send your CV to [email protected] or [email protected] to apply online. Visit Love Holidays jobs page to learn more. Affiliate Programme – Send your application for affiliate programme online to [email protected]. Visit Love Holidays affiliates programme page to learn more. This page has an online application form. Butlins customer service contact number is 0330 100 6649, available 9am-7pm daily. Call this number for any queries that you might have regarding a booking you have just made or for all other enquiries. Butlins customer service policy ensures that your needs are attended locally and any feedback that you have resolved as soon as possible. Alternatively, you may email your concerns to [email protected]. Submit your written feedback within 28 days of your return and remember to write your break reference number and contact numbers. Butlins booking contact number is 0330 100 6648, available 9am-7pm daily. Call this number if you want to make a new booking or check available options for your planned holiday. Butlins booking contact number for existing bookings is 0330 100 6654, available 9am-7pm daily. For guests who have speech and hearing impairments, Butlins welcomes BT TextDirect service. Just dial 18001 before the number you require. Butlins booking office contact number is 0330 100 6651, available 9am-7pm daily. You may book online or call for the same price. Note that Butlins may monitor or record selected calls to comply with Ofcom and to maintain their high standards of communication. Butlins holiday booking contact number is 0330 100 6655, available 9am-7pm daily. If you book breaks whilst on any Butlins resort, you can enjoy their Best Price Guarantee. If you did this and have seen your break at a lower price, call them at this number and one of their Butlins advisers will verify the price you reported and if it is available, will apply the discount to your booking. Butlins payment contact number is 0330 100 6657, available 9am-9pm daily. Alternatively, you may make an instant payment at any time for any amount via their online payment tool. You just need to input your holiday reference number and the postcode as well as the surname of the person who made the booking. Alternatively, if you are paying by post, cheques or postal order, make the cheque payable to Butlin’s Skyline Ltd. and send to the address indicated in the previous section. Butlins payment plan contact number is 0330 100 6665, available 9am-9pm daily. Call this number if you want to pay using their automated payment method. However, Butlins will collect the minimum deposit if you cancel the booking before the standard minimum payment is reached via your agreed payment plan. The amounts will vary based on the break type you have selected. Furthermore, you can also use this number to request for date changes and resort transfers or cancel your booking. Butlins cancellation policy requires you to pay specific charges depending on the days before you begin your break. Butlins Premier Club contact number is 0330 102 5280, available 9am-9pm daily. Butlins Premier Club members can have access to the best deals available and enjoy an extra 5% loyalty bonus discount on top of early booking offers, special offers and brochure price for some items on specific times. Guests who are 15 years and older will receive Butlins wristbands to ensure their safety and security. Butlins group booking contact number is 0330 102 5297, available 9am-5pm daily. Call this number to enjoy discounts if you are a group of 20 or more. If you want to change your break, you may also do it using the Butlins customer help online page. Be ready to provide your full name, reference number, birthday, and address before you can access the booking. … exactly what we have to offer please speak to our friendly team. You can reach them directly on 0330 100 9334,..
Butlins travel agent contact number is 0330 102 5303, available 9am-5pm daily. There are four ways to book with Butlins: online, via phone, on any Butlins resort, or via travel agents. You may also log on to the Agent Login page or email them at [email protected] for agency sales-related concerns. Butlins booking contact number for a major public holiday is 0330 102 5296, available 9am-5pm daily. All bookings taken for breaks starting from December 9 to December 31 and other major public and bank holiday periods are subject to a maximum party size of eight. If your group is more than that number, speak to one of their Butlins advisers and provide the full names and addresses of all party members. The adviser will then contact the relevant director to seek approval for your booking. Butlins customer care contact number is 0330 100 6656, available 9am-7pm daily. Call this number or see your travel agent if any booking details for a major public holiday are incorrect. Note that you will only receive your confirmation once you pay the deposit. Butlins Tesco vouchers contact number is 0330 100 9327, available 9am-7pm daily. You can use Tesco Club card vouchers to pay for all or part of your break, excluding dining and additional extras, at their best available rates. You can enjoy this benefit if you have ordered and received your tokens before booking. If you cancel your breaks, you cannot refund a number of your vouchers. Alternatively, you may email the details to [email protected]’s.com or log on to your My Butlin’s account and update the required information. Failure to do so will lead to Butlins cancelling your contract with them. Butlins Caravan Skegness contact number is 0330 100 9745, available 9am-5pm daily. Call this number if you want to stay in a caravan located within their Caravan Village and just a short walk away from the resort’s centre. You can use all the facilities in the same way as the benefits you enjoy while staying in an apartment. Call them for more details. Additionally, contact Butlins Skegness caravan sales contact number 0175 461 4499 for more details about sales. All Butlins general enquiries use this contact number, 0175 461 4444. Advisors are available 24 hours a day, 7 days a week. If you would like to get in touch with the Butlins press office for any PR and press concerns, send an email to [email protected]. You can request a copy of the Alfa Travel brochure directly from their website to get a complete list of the different Alfa Tour destinations and packages. You can also contact Alfa Travel online through email, [email protected]. If you were unsure about the high-quality nature of using Alfa Travel, then you can go online and read up on the the www.alfatravel.co.uk Reviews section. The Alfa Coach Holidays reservations contact number is 0125 724 8000. Alfa Travel Chorley’s reservations is available 9AM-5.30PM Monday-Friday, 9AM-5PM Saturday and 10AM-4PM on Sunday and Bank Holidays. You can also send your reservations to them through their email. Their email is [email protected]. If you want to take advantage of Alfa Travel voucher codes, you need to make your reservation through their website at www.alfatravel.co.uk. Last minute deals are also available here every now and then, so keep an eye out for them. The Alfa Tour and Travel group reservations department handles bookings for groups comprised of at least 21 passengers. Their contact number is 0125 724 8007. The group reservations department is available 9AM-5.30PM Monday-Friday, 9AM-5PM Saturday and 10AM-4PM on Sunday and Bank Holidays. They also accept reservations sent through their email at [email protected] and through the Alfa Travel Facebook page. Copies of your travel insurance documents. This is also the fax number you’ll use for submitting supporting documents to file a claim on your Alfa Travel insurance or a dispute on charges made to your credit card. The Alfa Travel Facebook page is another place where you can book your reservations and make queries about your bookings. 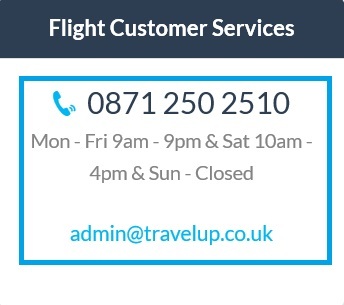 You can book a taxi at any time of the day or night by contacting on this 247 Airport Transfer phone number. Visit 247 Airport Transfer website for detailed information about the services offered for airport taxi transfers the UK has to offer. 247 Airport Transfer is a trade name of the Airport Transfer Cars Ltd. Customers can avail airport transfer services online by visiting the 247 Airport Transfer price page. This page has an online booking form. You have following options for booking using this form. Book a taxi for a travelling to a local address. Book a taxi for 247 Airport Shuttle drop or pickup. Similarly, the form offers various options for payments and customization of the booking. Contacting 247 Airport Transfer is possible online when you use the live chat option available on the website. Nevertheless, the chat menu is located on the bottom right side. Contact 247 Airport Transfer customer service online through their email, [email protected]. 247 Airport Transfer offers an online form to contact customer service. Whereas, this form is available on the contact us page on the website. You need to provide your name, contact information, and message to 247 Airport Transfer in this form. Then, click on the Send button to send your message instantly. The 247 Airport Transfer customer service mobile number is 0776 635 0958. This 247 Airport Transfer customer service contact number is available 24/7. Similarly, you can access various services and information by login to the 247 Airport Transfer website. The 247 Airport Transfer login menu is available from the get price page. You need to click the login link at the top of the map to proceed. The 247 Airport transfer international customer service number is +44 203 150 1027. This number is a available 24 hours a day, seven days a week. Book your 247 Airport reliable transfer in advance of your trip for best pricing and availability. You can additionally contact 247 Airport transfer international online through email, [email protected]. The main 247 Airport transfer international page offers a free quote interface. All you need to do is enter the website and click on the left section of the site page. A map will come up and you click your destination to see price quotes and other options. The 247 Airport Transfer driver jobs contact number is 0791 864 4198. 247 Airport Transfer offers various jobs for driving taxies, minicabs, and PCO. Further, interested individuals need to get in touch with the 247 Airport Transfer HR department on the above number. What documents are necessary to submit with the job application? What are the other requirements from the driver? How are the work schedules arranged? What is the dress code for the driver? What are the other job responsibilities of a driver? The 247 Coach Hire customer service number is 0203 150 0522. 247 Coach Hire is part of the 247 Airport Transfer family. Additionally, visit the 247 Coach Hire website for detailed information about the services offered. Contact 247 Coach Hire online through their email, [email protected]. However, make sure to provide accurate contact information and description of the assistance required. Likewise, 247 Coach Hire offers online quote option on the home page. Then, use this menu to find out the tariff and other charges. Further, you can visit the get quote page on the website for instructions on how to fill the online quotation form. The 247 Coach Hire LinkedIn account provides additional online communication. Likewise, you can contact 247 Coach Hire customer service via 247 Coach Hire Google+ or via the 247 Airport Transfer social media website accounts at the bottom of this article. Getting in touch with customer service at 247 Airport Transfer is simple when you visit the social media pages. It is present on following social media platforms. Green Traveller customer service number is 0122 532 6888 local rate number. Greentraveller.co.uk offers guides for travellers. Similarly, Greentraveller.co.uk operates on an online platform. Using the website is simple. You can login or register on the website as well as access information and other facilities. Additionally, contact Green Traveller online through their email, [email protected]. The online form for contacting Greentraveller.co.uk is also available, but you need to provide your name, email address, description of the query or request for assistance, and complete the captcha challenge to send the online email. Existing hotel or holiday accommodation owners can collaborate with Green Traveller. Moreover, you can add information about the hotel, B&B, campsite, tours, and self-catering cottages using this menu. Visit the owners and operators page on the website to proceed. You can also send an email to [email protected]. Address your email to Emma Smith. For Accommodation / Hotel Owners – Visit the accommodation listing application page for precise Greentraveller.co.uk contact with the right department. Fill requested information in the form available on this page and click submit button to send your application for listing. For Tour Operators – Tour operators can request a listing on the website when they contact Greentraveller.co.uk online through their department email, [email protected]. Similarly, use the above Greentraveller.co.uk contact number to get in touch with the sales team. Additionally, you can always contact the Bath head office by sending a postal mail. For Editors and Press Releases: Contacting Greentraveller.co.uk for press enquiries is possible when you get in touch with Florence Fortnam. You need to email her directly online [email protected]. Please notice that her email is a dot com and not a dot co dot UK. Then, send your requests for press information on this email address. Further, you can always contact the Greentraveller.co.uk contact number mentioned above for time-sensitive information. However, request the operator to connect your call to the editorial office to reach the right department. For Advertising Information: Richard Hammond is the Head of Destination Partnerships at Greentraveller.co.uk. You can contact him online by sending an email to [email protected]. Green Traveller shares the social media on various websites to open a platform for discussion with the travellers and visitors. However, you need to like or follow Green Traveller on these social media websites. It enables private messaging. Thus, you can send a direct message with your request for assistance and maintain the privacy. Likewise, visit following social media websites to contact Green Traveller.